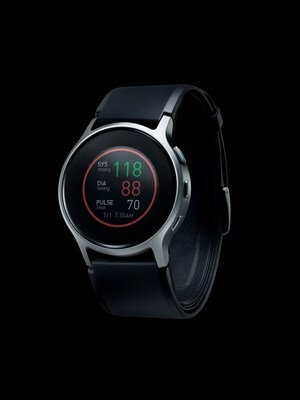 LAKE FOREST, Ill., April 10, 2019 /PRNewswire/ -- Omron Healthcare, Inc., the global leader in personal heart health and wellness technology, announced its new HeartGuide™, the first wearable blood pressure monitor in the form of a wrist watch, has now received the Red Dot Award: Product Design 2019. The prestigious Red Dot Award is one of the largest and most competitive awards worldwide and serves as a benchmark in design excellence. The Red Dot Award recognizes Omron's groundbreaking innovation in design following extensive review by an international jury of 40 product design experts. Judges evaluated all competing entries based on various criteria such as degree of innovation, functionality, formal quality, ergonomics and ecological compatibility among others. 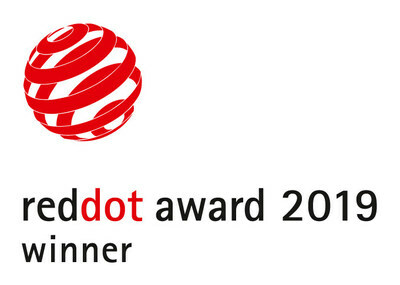 The Red Dot Award is one of the largest and most competitive awards worldwide and serves as a benchmark in design excellence. Omron HeartGuide is the first wearable blood pressure monitor, created for those who want to keep close watch on their blood pressure anytime, anywhere. "Omron is honored to be recognized for this achievement of design," said Omron Healthcare, Inc. president and CEO Ranndy Kellogg. "Omron designed HeartGuide as a lifestyle product – a stylish and functional medically accurate device that received FDA clearance as a blood pressure monitor. We wanted to create a device that consumers are proud to wear and one that would make regular monitoring more convenient with a design that encourages regular use." Omron HeartGuide is the first wearable blood pressure monitor and was created for those who want to keep close watch on their blood pressure anytime, anywhere. Omron filed more than 80 new patents to create HeartGuide, including components such as pumps and valves that are as small as a grain of rice. HeartGuide uses oscillometric measurement to determine medically accurate blood pressure readings, which is the same technology used in a doctor's office. HeartGuide also tracks activity and sleep through the accompanying HeartAdvisor™ app, a digital health service that provides personalized insights into a user's blood pressure readings. Omron will formally receive the award during the Red Dot award ceremony in Essen, Germany, on July 8, 2019. HeartGuide is now available for purchase exclusively at OmronHealthcare.com. Omron Healthcare, Inc., is the world's leading manufacturer and distributor of personal heart health and wellness products. Its market-leading products include a full range of home blood pressure monitors and electrotherapy devices. Since Omron invented its first blood pressure monitors more than 40 years ago, the company has been passionate about empowering people to take charge of their health at home through precise technology. Omron is the number one doctor and pharmacist recommended brand of blood pressure monitors for home use. The company's mission is Going for Zero, the elimination of heart attacks and strokes. For more information, visit OmronHealthcare.com.